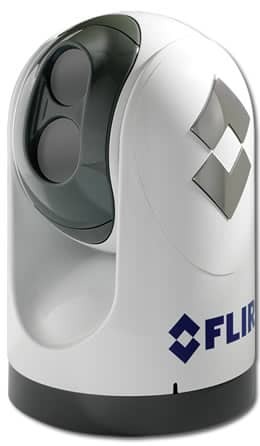 The M-Series pan/tilt re-defines maritime multi-sensor system design, drawing on FLIR’s 25 years of experience in building combat-proven airborne and maritime thermal imagers for militarys, coast guards, and governmental agencies around the world. With up to 640 x 480 thermal imaging, M-Series cameras let you see more – and see farther – than ever before. Even in the dead of night.